Badland by indie developer Frogmind, is one of the best survival games on any platform. 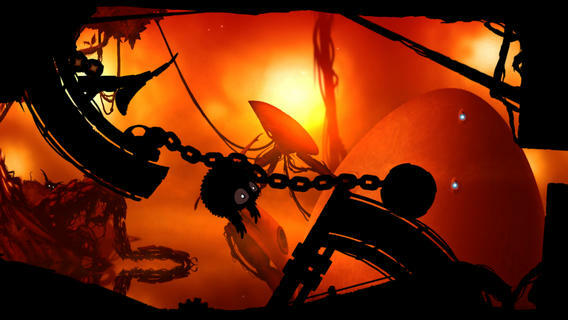 In Badland, the player flies around a little black creature named Clony through the surreal, beautifully rendered woods. 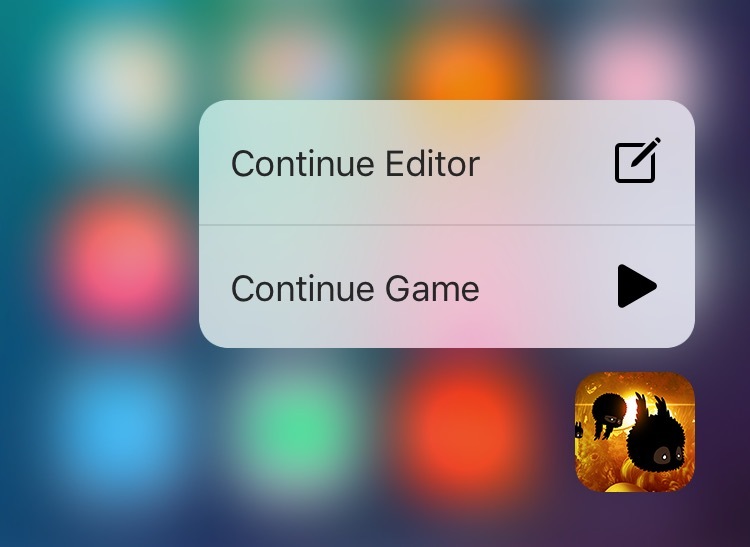 Starting today, you can use 3D Touch gestures on your iPhone 6s and iPhone 6s Plus to quickly access the built-in editor or continue playing the single player campaign right from the Home screen. In addition, 3D Touch allows a brand new kind of puzzles and gameplay with all-new force objets. The game’s built-in level editor on the iPhone 6s and iPhone 6s Plus now features a brand new tool called Force Object. In a nutshell, this feature allows you to apply additional forces to any kind of object in the game. And here are Badland’s 3D Touch shortcuts on the Home screen. Player-generated levels can be shared with Badland’s community which counts tens of millions of players worldwide. To this date, 80,000 fans have created more than an astounding 10,000 downloadable levels for Badland, and counting. This update is provided at no cost to those who have previously purchased the game. Badland is one of the best mobile games, period. And with 3D Touch support, it’s bound to get even better. If you have upgraded to an iPhone 6s, make sure to re-download Badland through the App Store’s Purchased tab and take the new 3D Touch features for a spin. Following its 2013 App Store debut, Badland was released for Android, Windows Phone and BlackBerry platforms. Badland: Game of the Year Edition, a version of the original game revamped for consoles and Steam with four times more content, is available for the PlayStation 4, Xbox One, Windows, Mac, Linux (through Steam), Wii U, PS Vita and PlayStation 3. The 171-megabyte game requires an iPhone, iPod touch or iPad with iOS 7.0 or later and is localized in English, Czech, Finnish, French, German, Italian, Japanese, Korean, Portuguese, Russian, Simplified Chinese, Spanish and Traditional Chinese. Badland is $3.99 in the App Store.